Since its inception, Western Colloid has been recognized in the roofing industry as a leader in Fluid Applied Roofing, Reflective Coating Systems and Premium Asphalt Sealcoats. Our founder began applying coatings and fluid applied systems in the 1960’s. Throughout the West notable companies like Boeing, Weyerhaeuser, Fred Meyers, TRW, Certified Grocers, Payless, Thrifty Drug and others received asphalt emulsion systems from his team. He soon became the largest fluid applied roofing contractor in the Western United States. 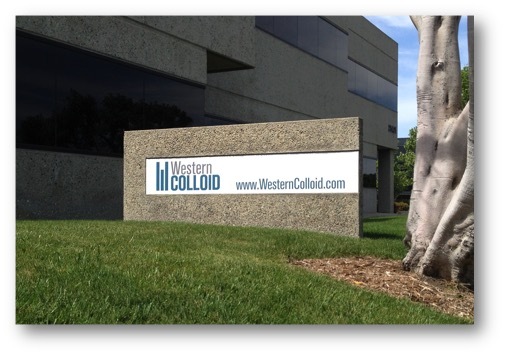 The Western Colloid brand was born in the 1970’s when he built his own manufacturing facilities. As a successful contractor he understood the need for consistent, quality products; he also knew that in order to help this sector of the roofing industry grow he would have to provide contractor services that were effective and unique. Today, Western Colloid operates the largest fleet of tankers servicing the roofing and coating industry in the United States. This footing in bulk transportation service allows contractors to keep installation costs low and helps the environment by reducing the use of barrels and pails. Free field inspections, prompt delivery, and exceptional service overall are a few of the other perks we provide to our customers. 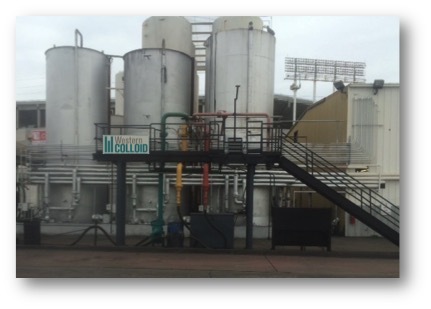 We use state of the art facilities to manufacture our asphalt emulsions and water based coatings. Teamed with companies like Rohm Haas and Dow, we develop and manufacture some of the finest roof coatings available. We are committed to producing systems that are environmentally friendly and energy efficient. Many of our products and systems are classified by Underwriters Laboratories and are FM 4470 Class 1 approved. As an Energy Star® partner, we proudly offer several coatings with the Energy Star® label. Furthermore, we are committed to reducing landfill use by indefinitely extending the life of existing roof systems. In addition to roofing systems, we are also a leader in the pavement maintenance industry. Our unique and specialized capabilities in emulsion technology give us the ability to manufacture premium asphalt sealcoats and pavement maintenance systems. Visit our Armor Top Pavement Products Website HERE. – If you are a Building Owner or Manager, we can recommend and specify systems that will meet your needs. – If you are a Specifier or Architect, we have a variety of specifications to deliver systems you can count on. Call on us any time – We would be happy to be of service!